Seagrass is a plant that grows and flowers under shallow areas of saltwater. There are 60 species of seagrasses worldwide, according to the National Center for Ecological Analysis and Synthesis. Many are endangered. 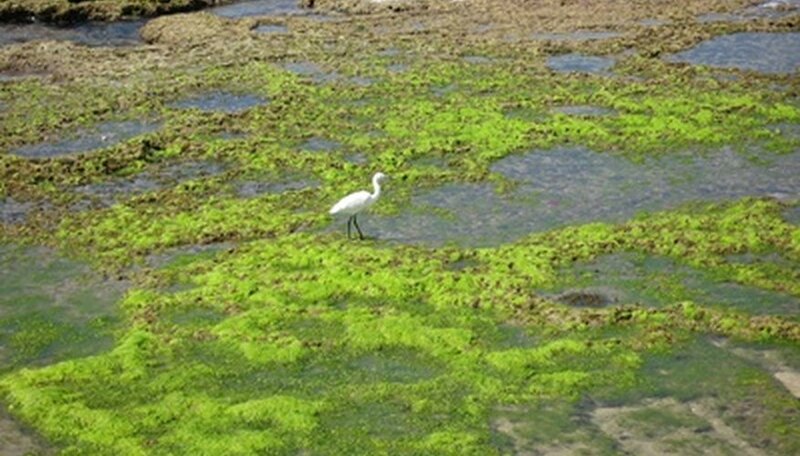 These seagrass "meadows" are home to marine plants and animals. In addition, they help stabilize shorelines, especially those that slope, and provide a food source to animals such as sea turtles. The importance of seagrass meadows has caused the creation of many seagrass restoration projects, which stretch from Rhode Island to Florida. Planting and growing seagrasses is not difficult if certain conditions are met. Choose the right location for your seagrass. The saltwater should be protected from strong waves or currents and be shallow enough to allow sunlight to penetrate, which the grass needs for photosynthesis. There should not be large amounts of free-floating sediment in the water, either. Clear water is essential for growth, according to the IOSEA Marine Turtle Memorandum of Understanding website. Dig up young plants from established seagrass meadows and plant them in the new location. Bury them up to the neck (where the first or second leaf starts on the stem) in the sand. Deep burial is essential to keep the newly planted grass from being washed away by currents. Sow seeds directly into the sediment, if you don't have access to young plants. Pressing the seeds an inch or so into the sand will help them get an even better start. Some seagrass restoration organizations use a biodegradable tape to fasten the seeds to the sand, which keeps them in place until they can take root. Protect the young plants from major disturbances to the area. Avoid landscaping or building, such as a boat dock, until the seagrass is very well established. Some organizations recommend tying young seedlings to a wire mesh frame with biodegradable paper. The frame is then placed on the ground, and by the time the paper dissolves, the seagrass has taken root.